Mayor Tom Hayes, left and Arlington Heights Police Department Sergeant Steven Hudgens. 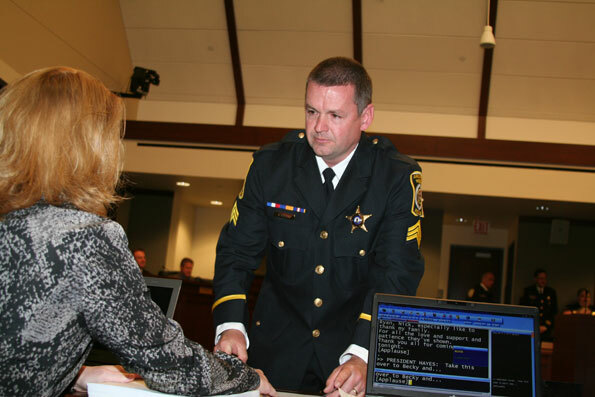 Police Officer Steven Hudgens was promoted to Police Sergeant, Arlington Heights Police Department at Monday’s Village Board Meeting. 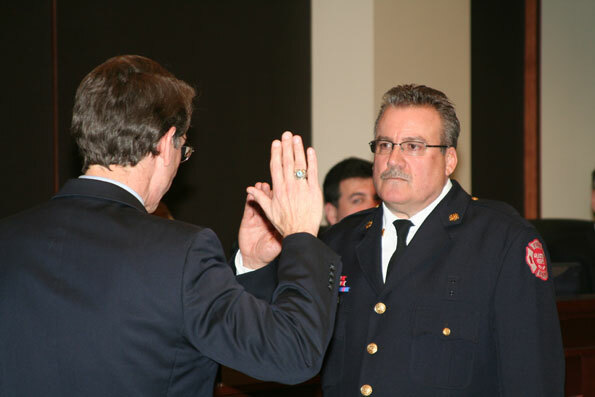 Deputy Fire Chief Ken Koeppen was appointed to Fire Chief, Arlington Heights Fire Department at Monday’s Village Board Meeting. Mayor Tom Hayes, left and Arlington Heights Fire Chief Ken Koeppen. 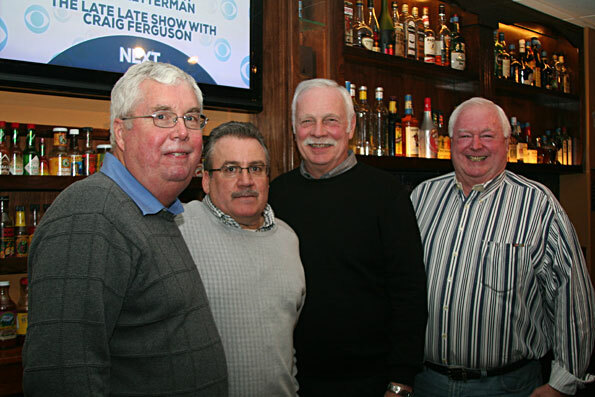 Left-to-right: Retired Fire Chief Glenn Ericksen, Fire Chief Ken Koeppen, retired Fire Chief Bruce Rodewald, and retired firefighter and owner of Eddie’s, Mike Taffe.